Bill Clinton assumed his potential role as first gentleman — as many in the Twittersphere noted — during his Democratic National Convention speech on Tuesday, July 26. The former president recalled proposing to wife and Democratic presidential nominee Hillary Clinton three times before she said yes. “In the spring of 1971, I met a girl. The first time I saw her, we were, appropriately enough, in a class on civil rights. She had thick blonde hair, big glasses, wore no makeup and she exuded this sense of strength and self-possession that I found magnetic,” Bill told the crowd at the Wells Fargo Center in Philadelphia before going into detail about the beginning of their 40-year marriage. 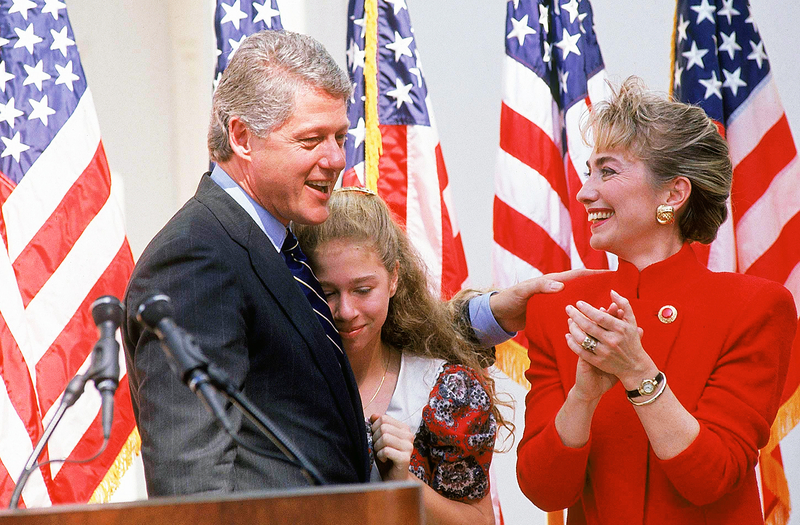 After discussing Hillary’s work with kids and people with disabilities, Bill recalled the second time he tried to propose to the former secretary of state. 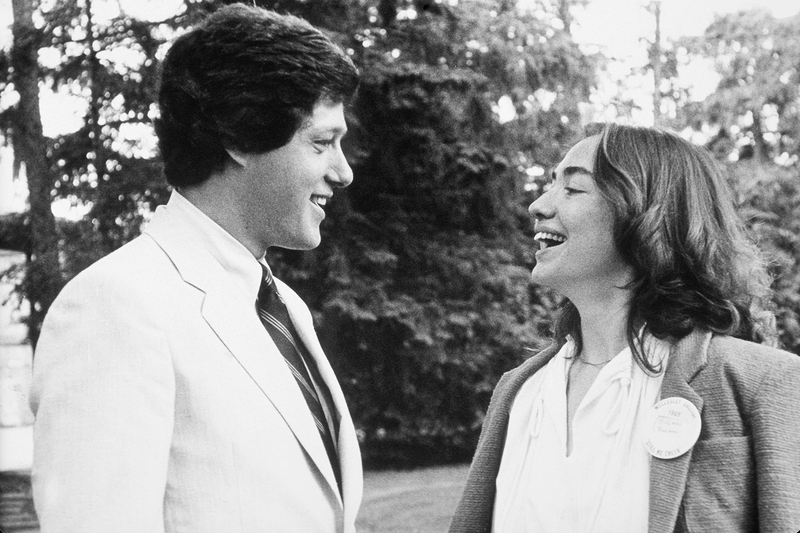 It wasn’t until he bought their first house that Clinton, 68, finally agreed to marry him. 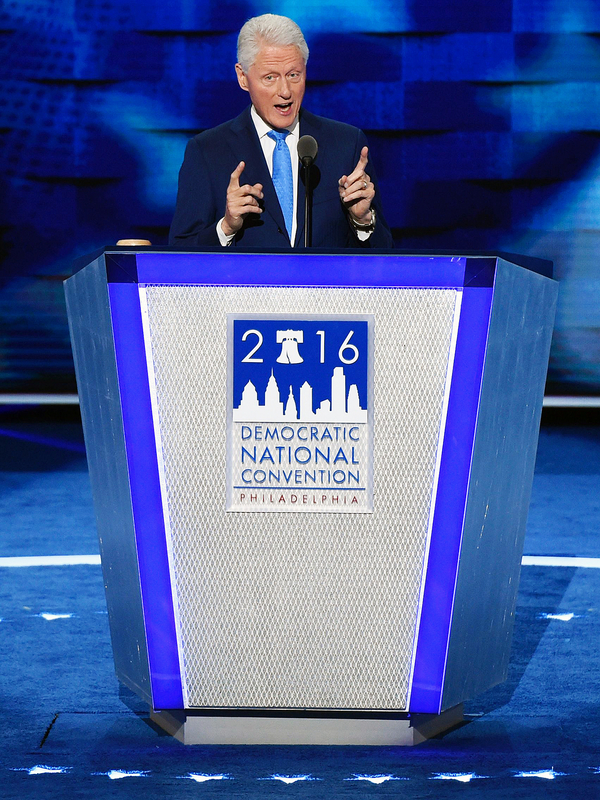 Bill also acknowledged Hillary’s opponent, Republican presidential candidate Donald Trump. Despite Clinton’s romantic love story, Twitter was quick to remind those listening about his affair with Monica Lewinsky. Hillary made history on Tuesday, July 26, after becoming the first woman to secure a presidential nomination for a major party. The former secretary of state became the Democratic presidential nominee after surpassing the required 2,383 delegates needed to secure the nomination.